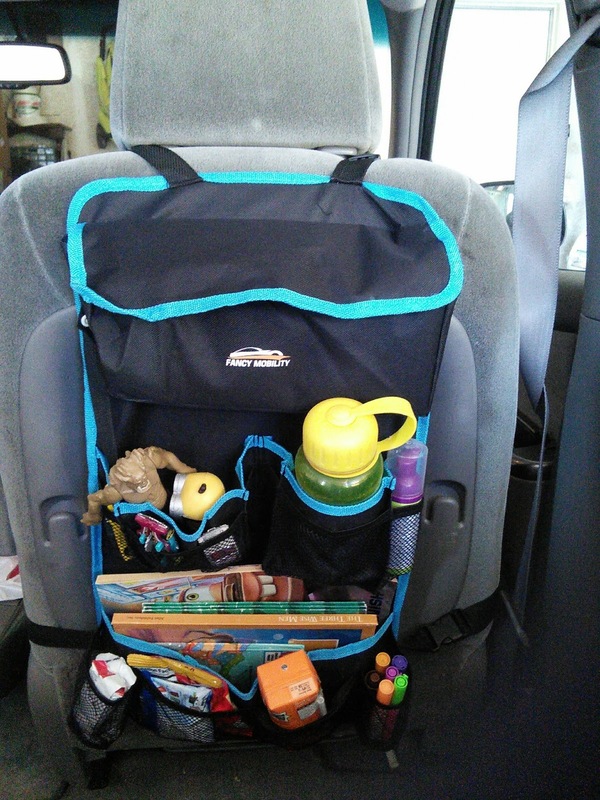 Tired of all the kid clutter in the car? Take a look at this car organizer. My car is always messy. My kids seem to have a lot of stuff and it always seems to end up in the car. No matter how hard I try my car is cluttered with kid items. It seems that I am forever cleaning the car. I want to keep items like books and snacks in the car to keep my kids entertained on long car trips, but I hate all the mess. So how do I keep a clean car if I have kids? I think I found the perfect solution to my messy car problem! I purchased this awesome Backseat Car Organizer and my car now looks so clean and neat. This organizer solves my clutter problem and provides my kids with a place to keep all their toys, books, and snacks. I just love all the pockets that this organizer has. There is a pocket for almost everything! The organizer was easy to attach to a backseat and I was able to put it within reach of my child so he can reach his toys. My son is able to get what he needs and then place it back when he is done. My car has never looked better. The markers and books now a place to be instead of the car floor. There are so many pockets on the organizer that some may remain empty. Most all of the pockets are deep so the items like water bottles will stay put. 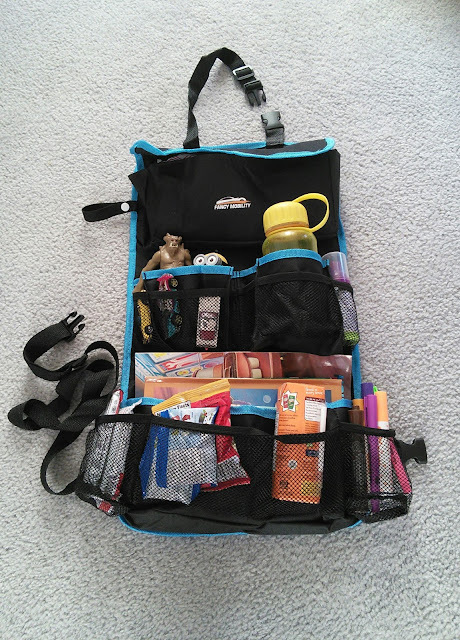 There is even a velcro pocket at the top of the organizer that is great for diapers and wipes. 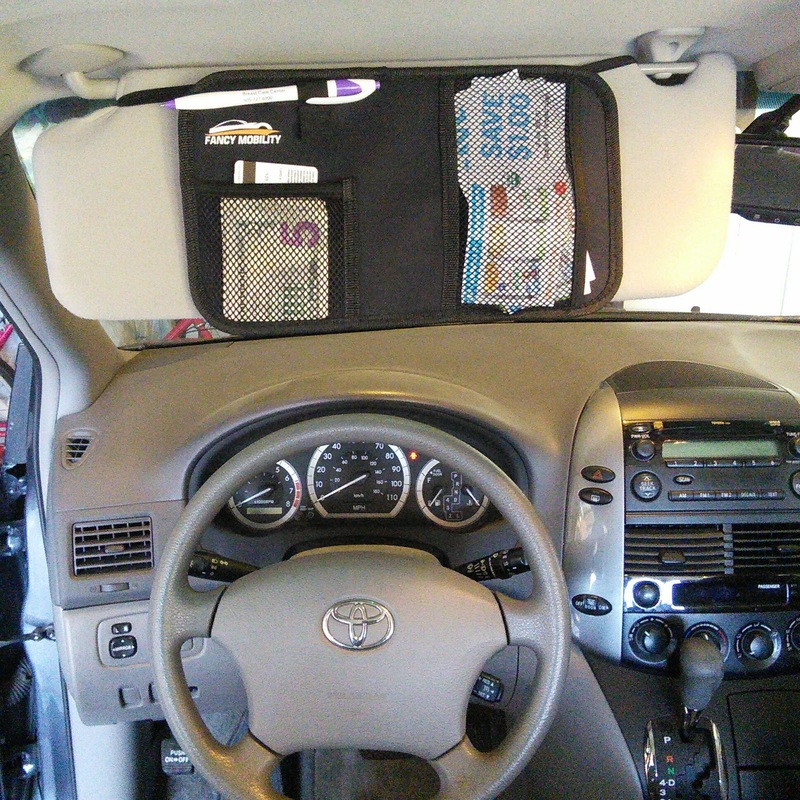 As you can see from the photo above this organizer has adjustable clasps to secure it to any seat in the car. You can even place large items like books and coloring pads in it, making it great for road trips. The front pockets of the organizer are stretchy so the items stay put. When we received the organizer, my boys had a blast filling it up with toys and snacks. They just love that they have items to play with when traveling in the car. I am just so happy for a clean car. 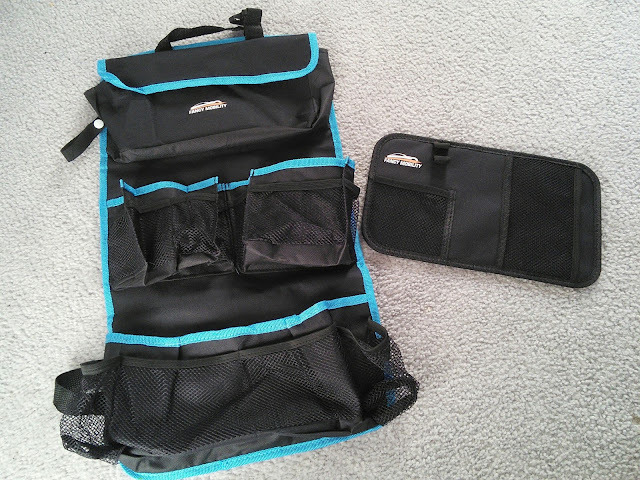 The organizer even comes with a visor organizer for me so my clutter has a place too. My husband no longer complains of my paper clutter that I use to stash behind the visor. 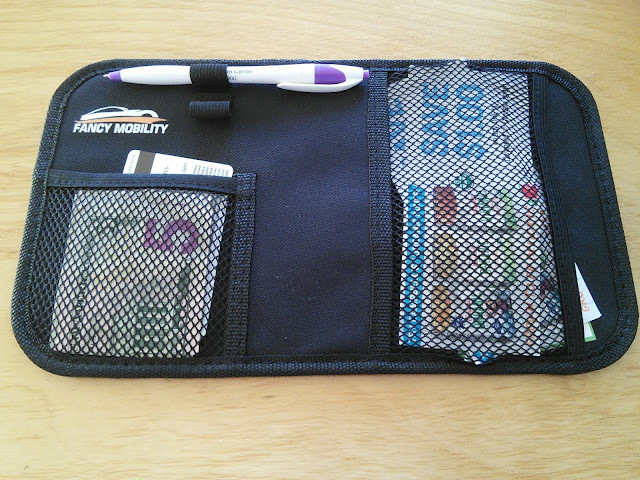 I now just put all my receipts, coupons, and emergency cash in my visor organizer. Now when my husband pulls the visor down to block the sun, he is not greeted with a flood of paper mess. The visor organizer has elastic straps to secure it to your car visor. It has two pockets and even places for your pens. Now I can find a pen when I need one. So do you want a clean clutter free car? This Backseat Car Organizer will help your car stay clean so you can enjoy a tidy car. This organizer is also great for adults too. It would be a great place to store work items or items for an emergency like food and a flashlight. What would you put in all the pockets? A clean car makes for a happy stress-free mom. Car trips might just be enjoyable as your kids will have plenty of items within their reach to keep them happy. Enjoy the car without all the messy kid clutter.